An exercise in restraint and simplicity How to create a piece of furniture that is functional and not overstated? 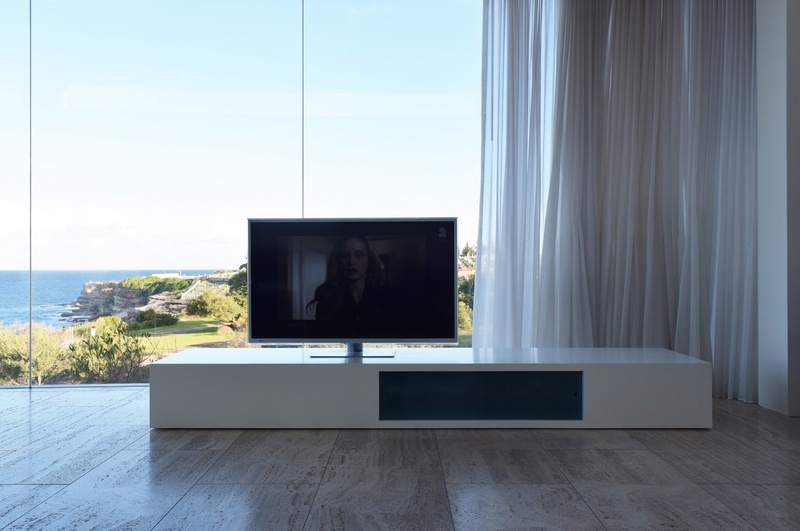 Chris Elliott recently designed this stand for his own TV in a room with a stunning ocean backdrop. It was important the furniture piece worked with the colours and sensitivities of the room, not detract from the views, be future proof, and be functional for a family to use. 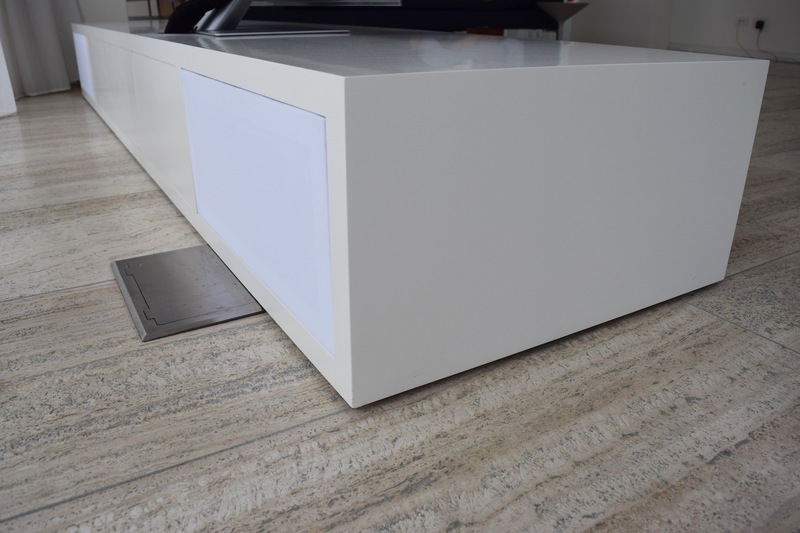 The low-profile cabinet is designed for a contemporary interior and was designed to look equally good from the front; or the rear so it can be placed in front of windows or walls. Small castors allow the module to be easily moved. A sliding etched blue glass front hides the equipment, and interior dividers are removable to allow easy access, with holes for TV wiring. 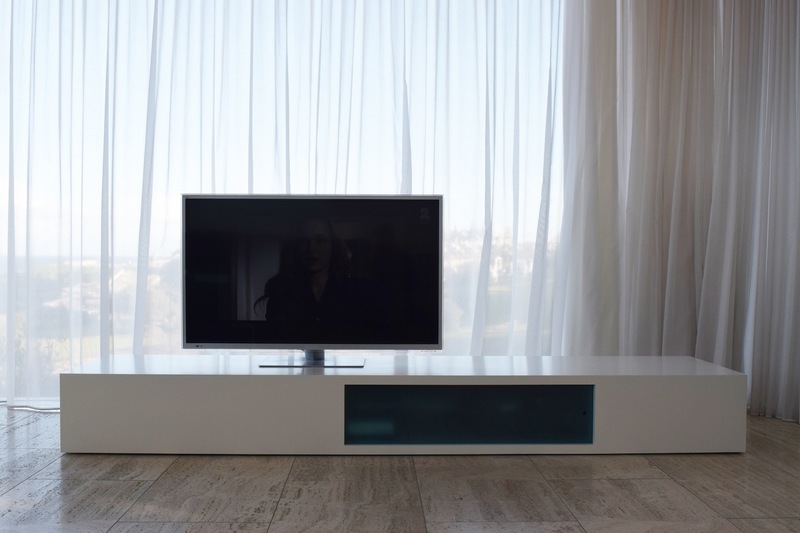 The unit can be finished in polyurethane to match different wall colours or other furniture and in timber veneer.